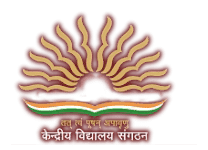 Primary Teachers (PRT’s) Vacancies – Last Date 10 February 2019 (Gurdaspur, Punjab), Kendriya Vidyalaya Shikar, Dera Baba Nanak (KV Shikar-DBN) recruits Primary Teachers (PRT’s) Post. Candidate with 12th Passed, D.Ed./B.Ed./B.El.Ed./J.B.T./E.T.T./B.T.C./D. T.C., CTET-Part-I qualified can apply.